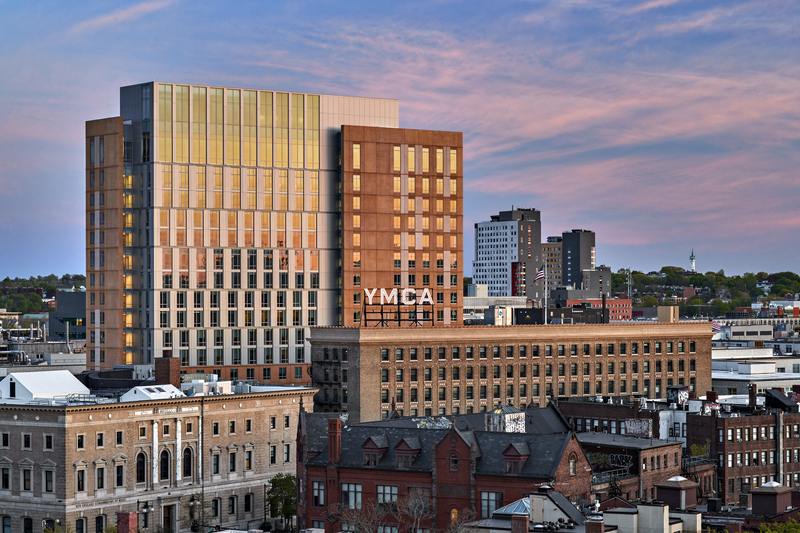 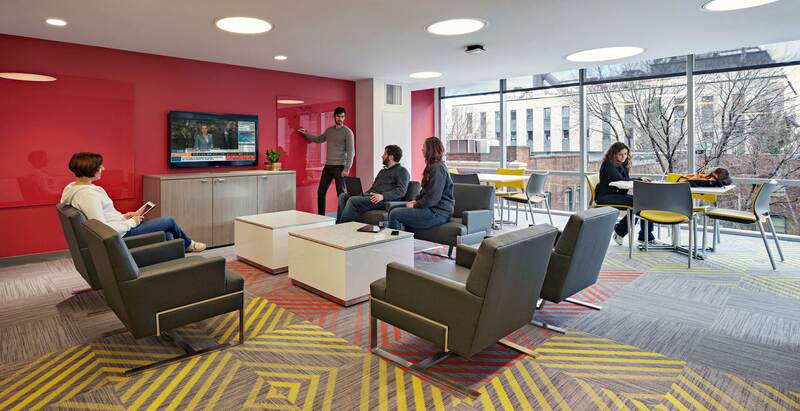 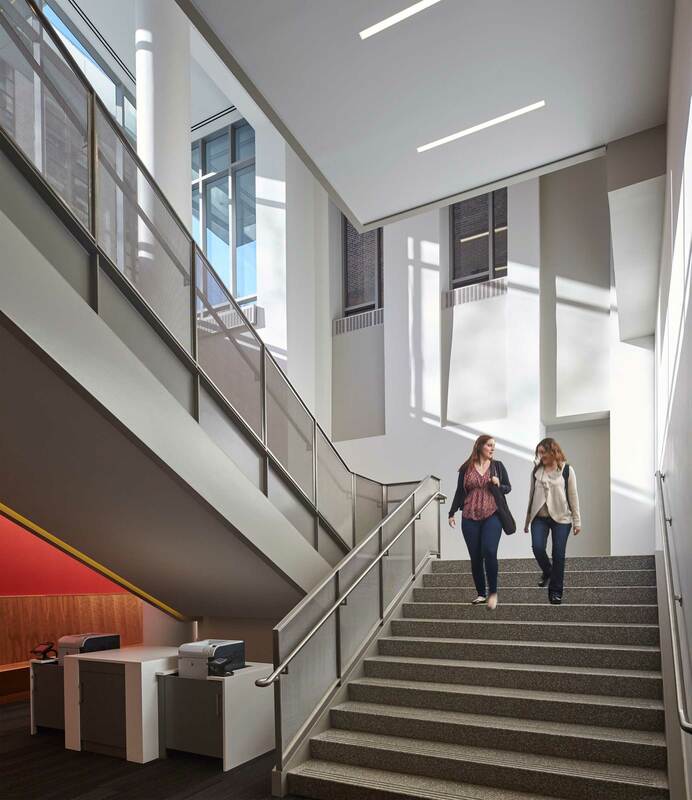 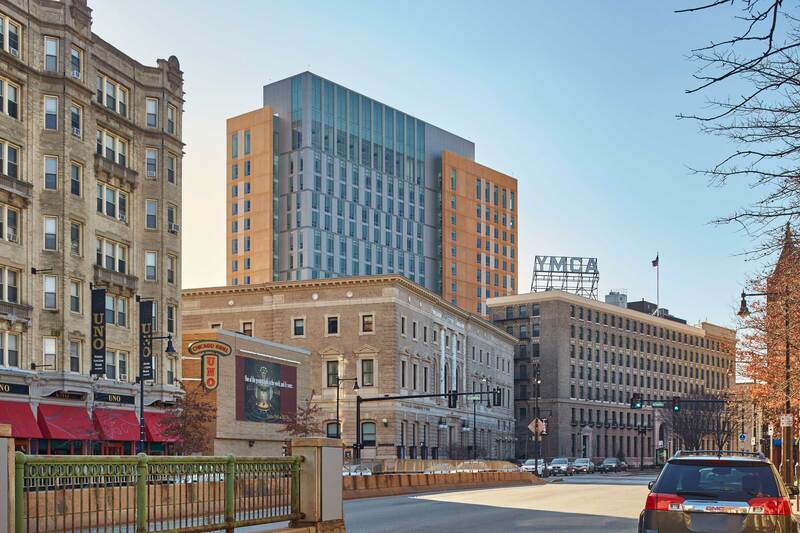 A mix of color and treatment tastefully exudes in a 17-story building, occupying the site of the former YMCA gymnasium in the historic Fenway district of Boston. 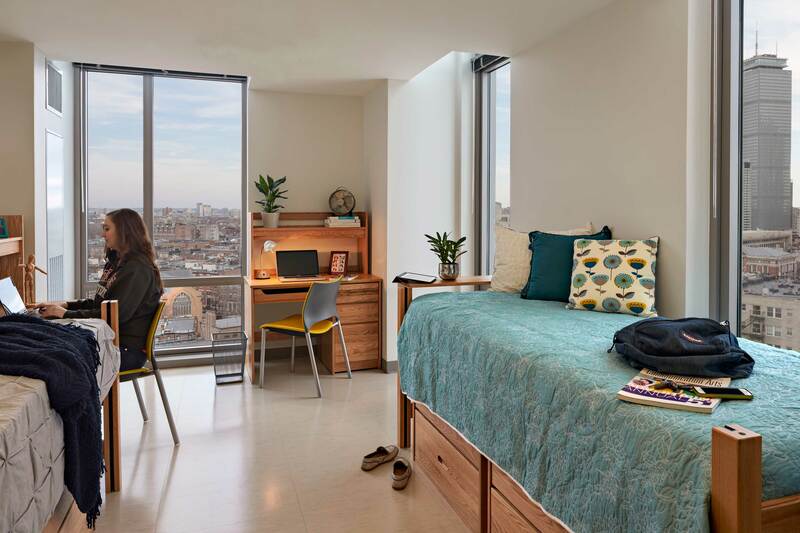 Housing freshman Honors Program students in traditional dormitory units and upperclassmen in suite style units, the facility also boasts four classrooms at the basement level to help meet the increasing demand for educational space on campus. 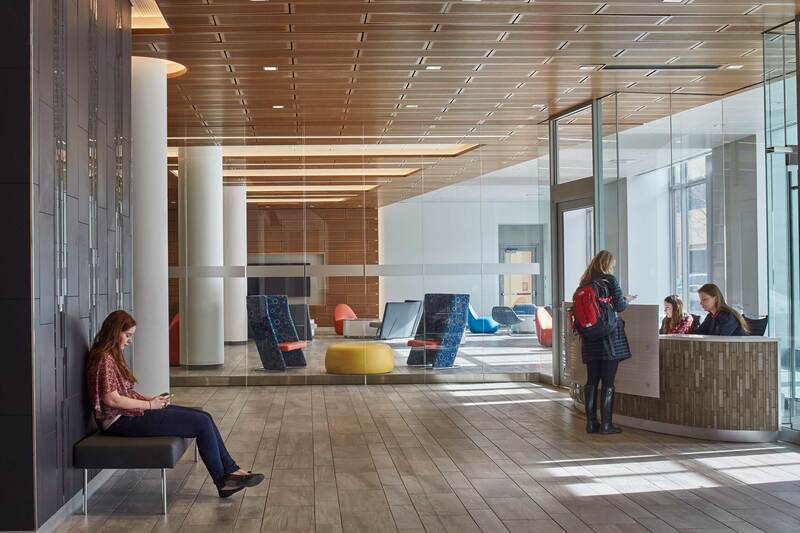 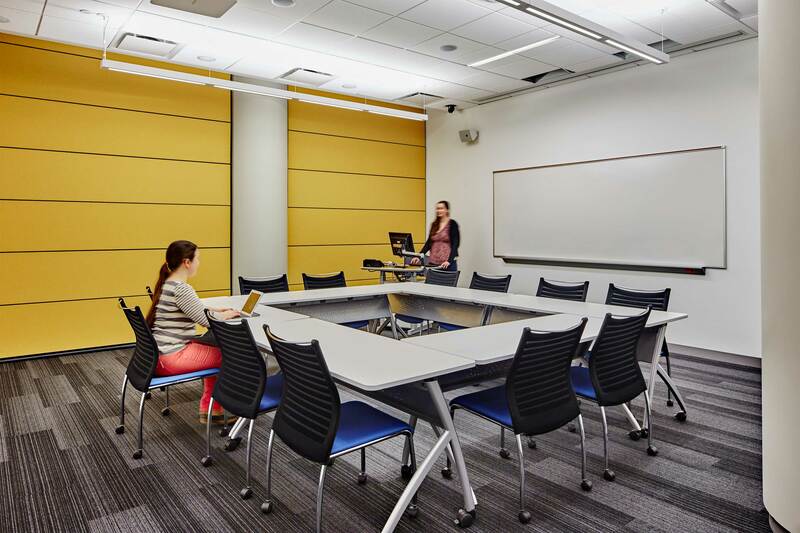 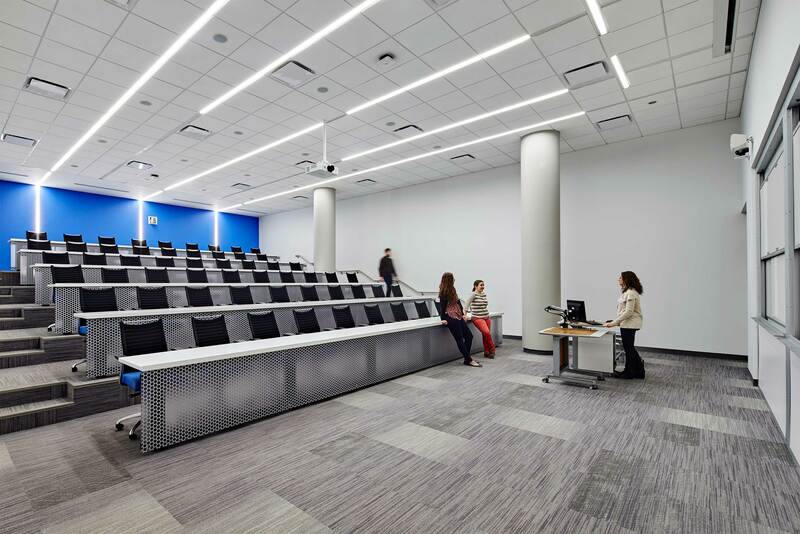 Student lounges are located on each floor, with the largest spaces at the ground floor and 17th floor. 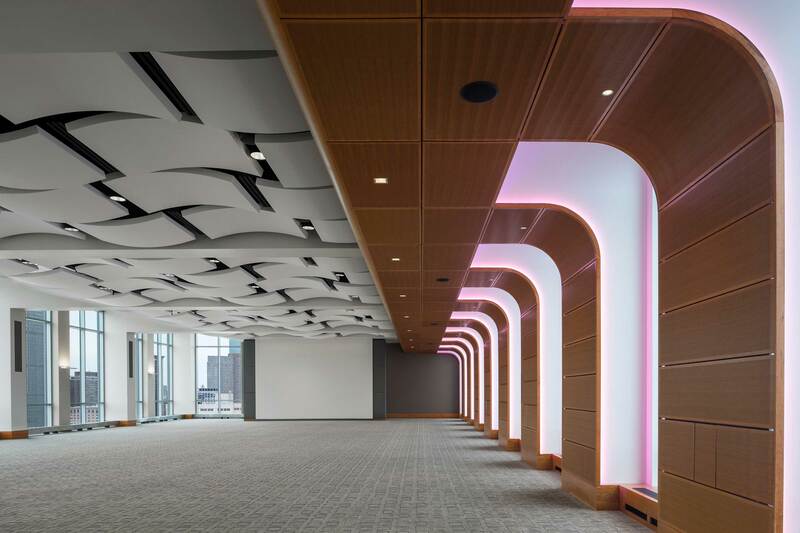 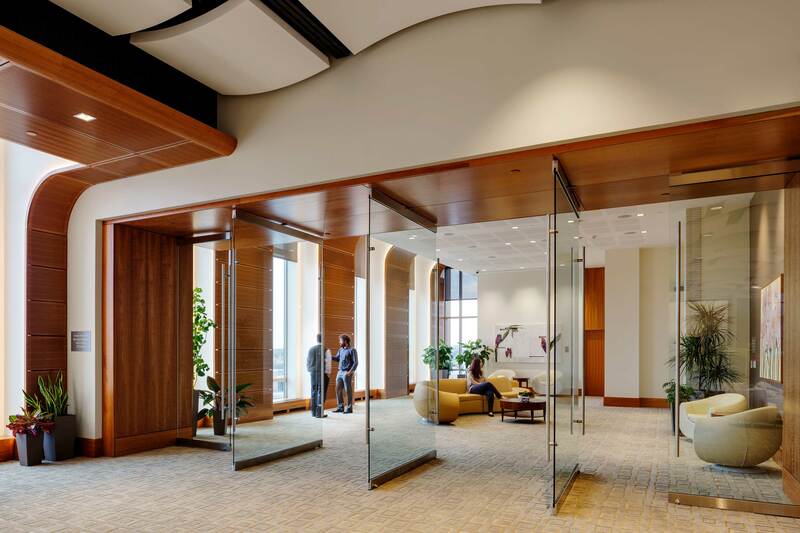 The 17th floor conference center offers dramatic views of Copley Square and downtown Boston beyond. 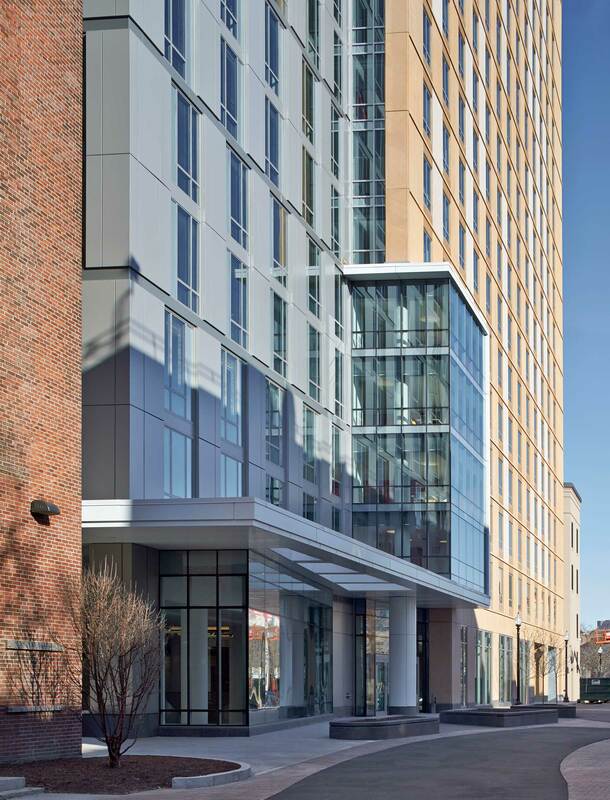 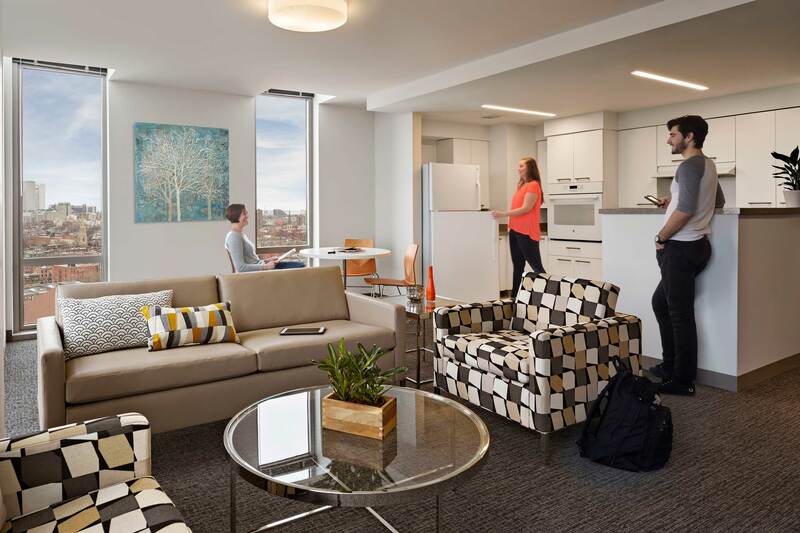 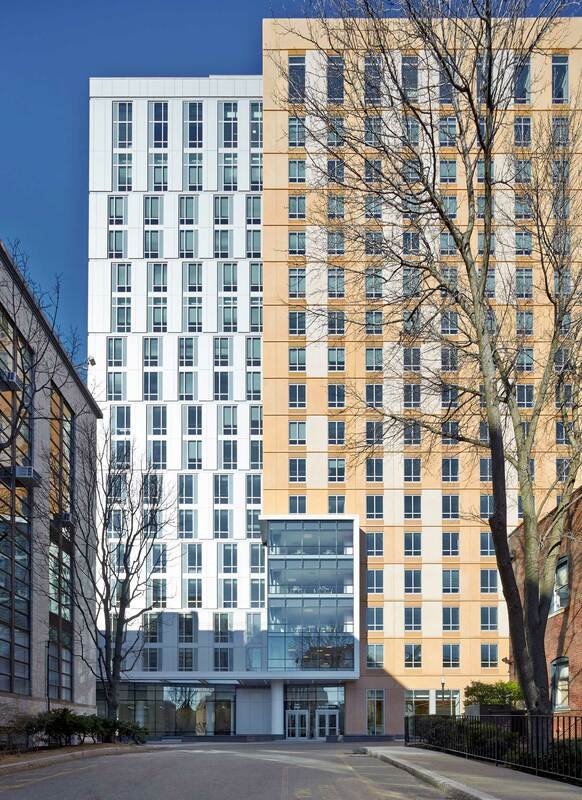 Phoenix/Lincoln Property Company owns the 723-bed student residence hall for exclusive use by Northeastern University.